Green Key and Social Media – Let us grow our reach together! Does your Green Key awarded establishment have a thriving social media presence? Does your National Operator team already share best practices of awarded establishments? Are you an experienced tourist and travel blogger? Or are you just getting started or thinking about creating an account for your business on a social media platform? Whatever your situation is – let us increase our reach together! 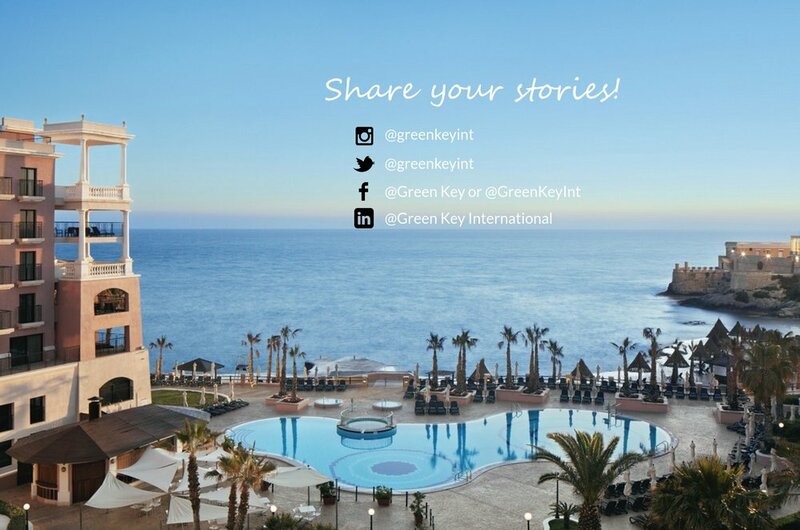 Green Key International is aiming at increasing its presence in its social media channels to raise awareness on Green Key and contribute to more environmentally friendly and sustainable operation within the tourism industry. We recognize that our awarded establishments, National Operators and guests involved in environmentally friendly and sustainable travel are invaluable resources in spreading the word on sustainable operation. We therefore encourage you to share your best stories and practices, your green initiatives and environmental actions or simply the everyday goings-on at your establishment, National Operator office or environmentally conscious travels. We would be delighted to share your stories with our network – and thereby increase the reach of your establishment, Green Key and promote the valuable work that you do for a sustainable tourism operation. By submitting your stories, pictures, news etc. you are giving us permission to share and post your material on the Green Key International social media channels. We are looking forward to your pictures and stories!